Apple is incredibly secretive about unannounced products and initiatives and hasn't announced anything about cars. Still, tantalizing clues to an Apple car emerge. Apple appeared last month on the California Department of Motor Vehicles' (DMV) list of companies granted self-driving car drivers' licenses. Apple is now legally allowed to test three 2015 Lexus RX crossovers. 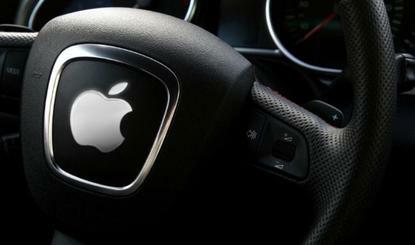 And a couple of weeks ago, an Apple test vehicle was spotted driving on the streets of Silicon Valley. Also last month, the German news site Frankfurter Allgemeine Zeitung reported that Apple is running a secret research lab in Berlin, where the company now employs German car engineers. A Swiss IT publication reported last month that Apple hired at least 10 doctoral or postdoctoral students from the Swiss Federal Institute of Technology in Zurich, all in the areas of visual navigation, computer vision and robotics. The new hires are working in Apple's Swiss research facility. Another hint came from Apple's annual 2017 Supplier Responsibility report, in which it listed among its suppliers Robert Bosch GmbH, the German automotive components giant. Apple is buying car components. Of course, none of these facts prove that Apple is on track to build a Tesla-killing autonomous iCar. But here's what many experts have failed to consider. The "Project Titan" reorg has been interpreted by the press as a pivot toward Apple making the underlying software for self-driving cars, but not the cars themselves. The assumption is that Apple would embrace the same model Microsoft used for PCs — make the software, but let others make the hardware. But the evidence suggests that Apple will instead embrace the Apple model, which is to make the hardware, software and services that are "consumed" on a hardware device produced for Apple by a third-party contract manufacturer. One Bloomberg source claims that around a dozen engineers from a company called Magna Steyr are working the "SixtyEight Research" car lab. Magna Steyr, which is based in Austria, is the world's largest automobile contract manufacturer and has worked on or built cars for Mercedes-Benz, BMW, Aston Martin, Audi TT, Fiat and Peugeot. Magna Steyr is working on Jaguar's first-ever electric vehicle, the Land Rover I-Pace. Magna Steyr modeled itself after Foxconn, the contract manufacturer that makes iPhones. Apple revealed this month that its cash hoard now exceeds $256 billion. If Apple wanted the most advanced self-driving tech in the industry, it need only buy whomever's got it. In other words, technological leadership is a non-issue for Apple. That's something money can buy, and Apple has more money than anyone. If you were given a look at Apple's secretive smartphone project on Jan. 9, 2006, you would have concluded that the company was too late to market, was way behind the industry leaders and would have no chance of leading the industry. One year later, however, Apple announced the iPhone, and the company came to dominate the industry. Apple's history with the iPhone suggests the company won't want to be the first to market (the iPhone shipped 15 years after the first smartphone, which was the IBM Simon). Apple should not want to enter the autonomous car market until the company thoroughly understands what's wrong with the self-driving car experience — and how to fix it. 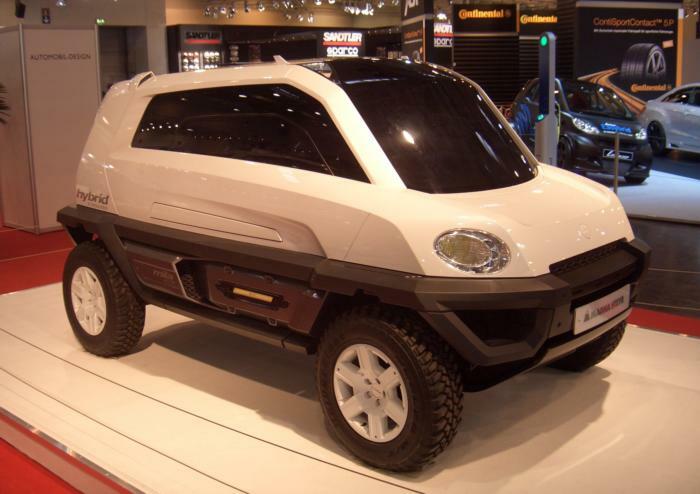 When we think about cars, we think about today's car industry. Big car companies design, build and sell heavily branded "driving machines," which customers buy based on brand loyalty, status, self-expression or utility. The autonomous car world will change everything. In the future, the car stuff (engines, tires, paint jobs) will be less relevant to consumers, who in any case may avoid actually buying a car. The reasons for buying or not buying a car will have little to do with status and everything to do with the experience of transport. The biggest and most breathtaking vision for the Apple car is this: Transportation is just a service provided by Siri. You go outside, get in and sit on the couch inside the car. Your iCloud and iTunes accounts automatically take over the car's entertainment system. It's like you're inside your iPhone. You use voice to play music, watch video, call people and so on. The ride is billed to your iTunes account, or is paid for by your monthly subscription. No need to own a car. The conveyance of your body becomes an Apple-controlled experience. Phone conversations or content like music moves seamlessly from your home speakers to your AirPods, to the iCar, back to your AirPods and then to the Siri appliance on your desk in your office. This is the ultimate way for Apple to control your content consumption and communication experience all day, every day. A car will become for Apple what the company's data servers are — Apple-owned hardware that provides services to users. Apple got into the phone business because that's where people would consume content and communicate, and also because it's a massive industry they could dominate with hardware, software and services. And they'll get into the car business for the same reason. This article originally appeared on Computerworld.com.